The servant leader is servant first … it begins with the natural feeling that one wants to serve, to serve first. Then conscious choice brings one to aspire to lead…. The difference manifests itself in the care taken by the servant—first to make sure that other people’s highest priority needs are being served. The best test, and the most difficult to administer, is: Do those served grow as persons? Do they, while being served, become healthier, wiser, freer, more autonomous, more likely themselves to become servants? And, what is the effect on the least privileged in society: Will they benefit or, at least, not be further deprived? In the fall of 2006, I led a national leadership task force for the National Council Teachers of Mathematics (NCTM). Our charge was to review the literature and make recommendations to the Council regarding next steps for creating and sustaining next generation of mathematics education leaders in the United States and Canada. I asked each of the task force members to submit leadership “readings” in advance of the meeting that could be used to inform and advance the discussions for our work together. One of our members, then NCTM Past-president, Cathy Seeley, submitted an article titled, The Art of Chaordic Leadership by Dee Hock. By now, I was serving as district superintendent and thought I was pretty well read on the subject of school and organizational leadership. I was mistaken. Chaordic leadership—a blended word combining the words chaos and order—was a term coined by Dee Hock, the founder and former CEO of Visa, in 1999. The article revealed for me a better understanding of one of the professional learning community relational and leadership, and cultural goals we had been pursuing for the past ten years. 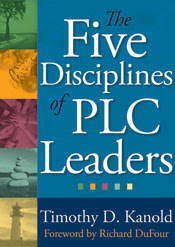 The PLC process and culture is as much about your personal growth as a teacher and leader as it is about investing time and energy in the growth of those in your North –South – East and West spheres. In the article, Hock made the point that 50 percent of our time should be spent on self-leadership, and the other 50 percent on the leadership of others. 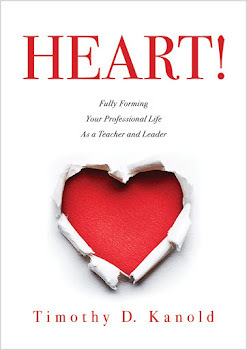 Hock (2000) indicates, “We spend little time in self-leadership, precisely because it is so much more difficult than prescribing and controlling the behavior of others” (p. 21). You and I must first work to develop self-leadership skills such as integrity, wisdom, knowledge, action and relational strength before we can demand so of others within our PLC. What are your words and actions that impact those in your north, south, east and west spheres of influence? Are you willing to “lead-up” for those with positional authority above you? Do you take the time to inform leaders to your north, add to the strengths of those leaders, and introduce those leaders to good leadership resources? Are you willing to lead across to your colleagues and peers? In your specific program area of influence do you provide colleagues with research and resources necessary to inform collective decision-making? You serve others by developing a positive relationship with him or her—not by building relational barriers. 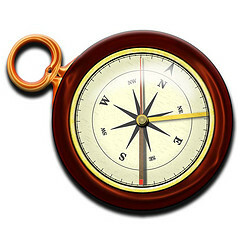 Are you willing to lead south in such a way that it empowers those entrusted to your teaching or leading area, to in turn lead north (influence and share with you), and lead east and west (influence their colleagues and peers)? So the chain of service and sharing looks like this: You work hard to develop your knowledge and continuous improvement and your ability to lead relationally with others. Making a better person out of self, you become someone that a fellow faculty member, staff member, student, or administrator would choose to understand, be persuaded by, motivated by, inspired by, influenced by. As others are led by you, and in turn lead you, this is modeled for all students in your school or district. Leading and following become simultaneous events, reciprocal, collaborative—or, as Hock indicates—chaordic. “It is true leadership… leadership by everyone… chaordic leadership in, up, around, and down that this world so badly needs, and industrial age, dominator management, that it so sadly gets” (p. 26). Professional learning community leadership is like that – it is chaordic. You bring order to the chaos of the expected work and actions of the collaborative teams. This eventually leads to greater coherence of effort. Your teaching and leading becomes more authentic if people follow, if people allow themselves to be influenced by you, when they have the freedom not to. This occurs when people are willing to trust your intentions and your motivation (it is all about the vision and values). If you want the best relationships and results, you must seek then, to build trust. And trust begins when you ante up first with those in your N-S-E and West spheres. When you are willing to deeply listen. When you tenaciously lean into others publicly affirm their authentic strengths and privately work to support their weaknesses. Gossip, complaining and drama is not the way of the PLC teacher or leader or for that matter any of the adults in a professional learning community. The PLC culture has no tolerance for these relational toxins. You must fiercely protect the relational vision of the school as well as values of fairness—what is and isn’t acceptable about how adults treat each other and the work they do together in your school. You must teach about relational fidelity over and over and over—this is why what you do really, really matters. Becoming a leader that thinks to serve first helps to create develops a PLC culture of learning. Pursue the servant leadership mindset, and then watch the chaordicness begin!